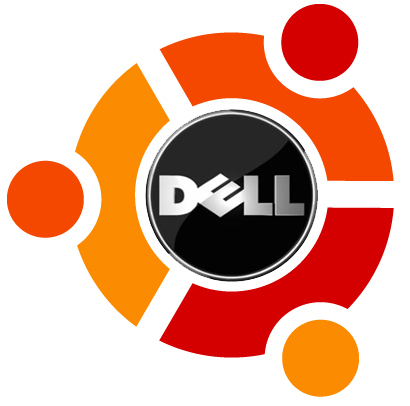 If you have questions about Dell's Ubuntu Linux strategy, please email me your thoughts (joe [at] ninelivesmediainc.com) or post a comment below. I am meeting Dell's Ubuntu team members in a few days. Here are five questions I hope to address. Plus, I welcome your questions to help shape the interview. If you have questions about Dell’s Ubuntu Linux strategy, please email me your thoughts (joe [at] ninelivesmediainc.com) or post a comment below. I am meeting Dell’s Ubuntu team members in a few days. Here are five questions I hope to address. Plus, I welcome your questions to help shape the interview. 1. Learnings So Far: It has been roughly two years since Dell started pre-loading Ubuntu on selected systems. What are Dell’s key learnings about the Ubuntu market so far? 2. Geographic Reach: In what countries does Dell offer Ubuntu? Which countries still need to be addressed, and why? 3. Additional Platforms: What are Dell’s thoughts regarding Ubuntu beyond PCs and laptops. Has Dell been testing Ubuntu on mobile internet devices (MID), smart phones, servers, appliances? Why or why not? 4. Additional Services: Canonical is beta testing new services like Ubuntu One (shared file storage/cloud storage), while continuing to expand services like Landscape. Will Dell test/offer those services to customers? 5. The Dell-Canonical relationship: How often do the companies speak with one another, why, and where is the relationship going next? Plus, I’ll weave in reader questions. Feel free to email me suggested questions or topics (joe [at] ninelivesmediainc.com) or post your thoughts below. Please ask them wy there is not more relevant and open support of getting the Ubuntu based systems out there. They have the possibility to provide machines free of viruses and spyware and they do not in favor for a system that they essentially know will eventually have those issues. I’m brazilian, and Dell in Brazil does not offer any choices of computers with Ubuntu preinstalled. I think it’s a shame, as Brazil is a strong name in open-source in general. Dell offers Ubuntu preinstalled in other Latin America countries, so I’m sure this is something that can be addressed. Nicholas, Luis: I will keep your feedback in mind as I prepare questions for Dell. All readers: If you’re not familiar with Dell’s Ubuntu efforts so far, check http://www.dell.com/ubuntu to get a general overview of what Dell offers today. Also, I realize Dell’s Ubuntu support varies from country to country so I will see if I can get some regional updates from Dell. Personally, I am curious as to why several identical system configurations are more expensive with Ubuntu than with Vista. how many installed systems have they shipped out (preferably broken out by system)? roughly how much does that come to in $$$ (even retail)? what is the return rate of Linux-based systems? how does this compare to their return rate of Windows-based systems (to the same consumer market)? How many service calls has this generated? How many service calls do they get in the same time period for Windows based systems in the same consumer market? What are the top 5 cited issues for service calls? Dragonbite: Great points all around. I will be sure to ask many of the questions. And if I get answers, you can look for a follow-up blog from me the week of June 29. Chad: I will bring up the apparent pricing issue. “Not sure Open Source is for You? I assume this is because they get a lot of returns and confusion like the news article, and want to make sure that the only people who buy Ubuntu systems are the ones who know what they’re signing up for. I want to know the same things as Dragonbite. Is supporting Ubuntu more difficult than supporting Windows? Do they get a lot of returns from people who didn’t understand what they were getting? Did they market it more aggressively at first, and then change to this conservative approach when lots of users had problems? Chad, can you provide links as examples? Identical systems that are more expensive with Ubuntu than Windows? I live in Puerto Rico, and just got the Inspiron 530 I ordered. Ubuntu pre-installed. I also wanted a Mini netbook with Ubuntu, but it only let’s me buy it with Windows. Why is there such a limited selection of pre-installed Ubuntu machines for Puerto Rico? The funny thing is the Puerto Rico is a US territory. @snark: I will check on multitouch. @Iamcro: I will check on support/pre-loads in Puerto Rico. All readers; Just want to “disclose” that I tend to give Dell the benefit of the doubt when it comes to Ubuntu. Remember: Dell launched Ubuntu pre-loads the very same year Windows Vista first shipped. It took a lot of nerve (and customer focus) for Dell to support Ubuntu at a time when MSFT was spending millions on Vista marketing. That said, I will check to see how Dell plans to move forward, and will certainly try to get some country-by-country answers for readers. Thank you for the suggested questions so far. Any way of knowing how many people with vanilla/Windows Dell machines install Ubuntu (or any Linux) as a dual-boot or over Windows? Likewise, any way of knowing if people buy a Windows Dell from them with the intention of dual-booting? Adding to that, do people ever request an Ubuntu CD with a Windows machine or request a dual-booting machine? there is little or no cost benefit to foregoing a windows license so why bother? i can always DL ubuntu for free later. so why not get a cheap windows license with pc purchase, as i will probly need it fort dual boot or vm anyways. theres just no point to save $25 now if i have to spend a couple hundred later for windows lic. Savy? I would like if or when we’ll see an Ubuntu tablet from Dell? When the Latitude XT and later the XT 2 were announced a lot of the push back to Dell on it’s various social media sites and blogs was that very question. So will there be an XT 3? If so will that support Linux? 1. Encourage them to make the OS a configurable option for all machines. 2. What challenges have you had? What are your biggest problems? What area, if worked on/fixed, would make a difference to Dell in selling Ubuntu? –gt; I’m asking what can be done as a community to motivate them to sell more. 3. What can be done to make selling Linux/Ubuntu more profitable? What do they need? Are Ubuntu purchases “worth” doing for Dell? –gt; I’m asking whether the lack of paid-for crapware kills their profit margin; also, whether there are reduced ancillary hardware sales (printers, etc.) with Linux systems that hurt their profits. 4. What are they willing to do to help Linux? What projects do they want to sponsor? What are they willing to pay for? 5. If they aren’t interested in *preloading* every machine with Linux, would they be willing to certify *which* machines will (should) work with Ubuntu out-of-the-box? Offer those machines in a no-OS configuration? Just want to reassure everyone that I’m reading your questions closely and organizing my thoughts (actually, all of your thoughts) for the interview. Ask if the reason they ship old versions of Ubuntu is because of fear of Microsoft? Small Linux vendors like System76 and ZaReason always have the current version, but Dell with vastly larger engineering resources can’t handle the effort to stay current? Bill: Dell has previously told me that they only ship Ubuntu Long Term Support (LTS) releases. Please ask them why they don’t just include Ubuntu as an option on the OS Selection page for ALL their PCs, rather than having completely separate product pages for Ubuntu-based offerings that are practically impossible to find. Windows has a much better selection of PCs than Ubuntu, and I don’t understand why. I’d be more or less interested to see if they see a niche for Ubuntu in the netbook area. ultimately if they’d stop loading on desktops and move to just netbooks or the like. I’d be interested to hear about the Dell strategy to get Linux to market. Is it a case that Ubuntu is ‘offered’ only on a select few mainly as it’s an after thought? Also what about the strategic move long term to ensure all machines Dell ships have open-sourced drivers, and knocking back component manufacturers that only offer closed-source drivers (or no Linux drivers). Making these component manufacturers accountable for the quality and openness of their drivers will ultimately pay huge dividends to the first computer manufacturer that enforces it. Also making Ubuntu an option as easy to select in the build phase globally would be a big improvement. The current ‘hide and try to seek’ makes it difficult to find. I agree with gdi (18). I can’t choose ubuntu in every netbook and I’d like know why! Maybe a better questions is: why is it that the Dell Mini 10, for instance, is offered with Ubuntu _only_ if you click on the Small Business link (as opposed to Home User) in their webpage? This hides Ubuntu from most Dell customers. Dell already went through the cost of adding support for Ubuntu on that hardware. Personally, considering Microsoft’s long history of monopolistic practices (and anti-linux campaigns and lobbying), this makes me think that Microsoft must be behind this decision, unless there is a better explanation. Another question: why is it that some times the same computer costs the same with Ubuntu or Windows? If this indicates the cost of customizing Ubuntu it makes me happy, particularly if this means some sort of compensation to Canonical for customization work. I think the more information is made public the better, because otherwise Linux users can fell that they are subsidizing the Windows licenses on the machines that ship with Windows (or, equivalently, that Dell is buying a Windows license for the hardware and making the Linux customer pay the MS Tax without noticing). Are there plans to expand the pre-install of Ubuntu on a more diverse set of equipment? (more cpu/memory/drive/video, etc. options). If so, is this near-term ( lt; 6 months) or more distant? I’m rarely happy with Dell these days. But a positive interview is always better to read. So I’m with Leo on that one. 1. My visit to Dell is Friday, June 26. Plenty of blog coverage to follow. And yes, I will raise many of the questions you all offered above. 2. Balanced Coverage: I look forward to hearing Dell’s views on Ubuntu market opportunities. I’m not out to bash their strategy so far. It hasn’t been perfect, but I think readers also need to realize that Dell’s commitment to Ubuntu in 2007 was one of the reasons that Ubuntu has gained broader market momentum in the past 24 months. And in fact, Dell’s decision to pre-load Ubuntu was the tipping point that inspired Nine Lives Media Inc. to eventually launch WorksWithU. Is Dell perfect? No. Does Dell make mistakes? Yes. Watch for us to produce balanced coverage based on our June 26 Dell visit. Thanks again to everyone for the question you’ve suggested. I appreciate your views, feedback and suggestions. @jp: I agree. Dell is helping Linux grow, every single hardware vendor would rather see MS die and have free to customize OS’s like Linux, with no fixed, arbitrary licensing fees. They are (most of them) trying to get GNU/Linux/OpenSource to grow: IBM, Dell, Intel, AMD/ATI, Nokia, should I go on?. Not because they are philosophically aligned with Free Software (big public corporations can’t afford this sort of thing, unfortunately). It is for practical, economic reasons. No one wants to depend on a monopolistic bully. Update: Meeting with Dell’s client Linux team is in one hour. Plenty of blogs to follow soon. Thank you all for helping me to organize questions for the interview. I’d like to know why they aren’t using it on their Studio models- I mean, I’d know better to use Ubuntu, or any Linux distro, on an XPS gaming machine, but how about media? Including PowerDVD Linux and Fluendo wouldn’t be so hard, right? 2. Why is Dell Server Hardware dying 2 to 3 times more then comparable server hardware from other vendors like hp, ibm or sun? Disregard the used OS? 3. Why should someone serious buy Dell Server Hardware at all? gt;So, why nomore Ubuntu on your pc? gt;Does Microsoft marketing strategy influences you to abandon Ubuntu installations? I purchased a Dell Ubuntu Inspiron 1500 when they first came out. I have been pretty happy with it so far. My wife now uses it, and I purchased an Inspiron 1720 which I had to manually install Ubuntu on after purchase. Why is dell not offering the newest version of Ubuntu? Why is there no driver support in my account since I purchased Ubuntu? I realize that Ubuntu is not a cash cow, but surely they could put a little more advertisement into it to build?